The simple axioms of discrete aether and quantum action augment the more limited reality of continuous space, motion, and time. With the quantum action of the Schrödinger equation and a single fundamental aether particle, two constants predict all action and all other physical constants. In the discovery of truth, there are only atoms and quantum action. John Horgan’s Mind-Body Problems is an anthology of interviews with nine very different people about the common themes of free will, consciousness, morality, and self. Is there free will and an uncertain universe, Horgan asks...over and over and over again or is free will an illusion of a determinate universe? A neuroscientist, a cognitive solid-state physicist, a bisexual child psychologist, a telepathic quantum conscious biologist, a schizophrenia afflicted lawyer, a brain-tumor survivor philosopher, a philosopher novelist, an evolutionary biologist, a transgender woman economist, and, of course, a science writer with a lot of questions about consciousness. Horgan's mind-body problems are all of the questions that ask how the neural precursors of subjective experiences of the mind become outcomes in the objective reality of the body, which includes the brain's neural precursors. Therefore, consciousness is a recursion whose outcome is neural resonances in the brain that are also precursors to the mind. Are animals and insects conscious? Is an atom conscious? We bond to other people as well as other neural sentiates by sharing the neural resonances of consciousness. The bonding of neural resonances is then what defines consciousness and resolves Horgan's mind-body problems. Thus since there are no neural resonances in grains of sand or atoms, there is no consciousness to share in grains of sand or atoms. However, since we can also share consciousness with our self in a recursion that gives us the feeling of self awareness, that feeling of self does include atoms and maybe even grains of sand. There are many very smart people including these nine who fundamentally agree and disagree about the natures of free will and consciousness and these nine stories well represent that spectrum of agreement and disagreement. But Horgan did not first ask about the each person's axioms or beliefs and only the stories themselves reveal just some of each person's beliefs. Therefore, the reasons for some of their choices were not always completely clear and were often just inferred in the story. For example, if someone believes in a determinate universe, then all choice is set by knowable precursors even if we do not yet know those precursors. Since the quantum universe actually has no completely determinate outcomes, just outcomes that are more likely, there are precursors that are not knowable even though those precursors do exist. Just like these nine stories, the many grand narratives of civilization are also stories of shared consciousness that both determine and then reflect the archetypes of belief that then make up each person’s consciousness. The grand narratives of civilization define consciousness as the recursion of precursors and outcomes of shared consciousness, which is the force that bonds people together. But each person is unique and different narratives resonate more or less strongly and their archetypes are therefore different and as a result, they feel and bond differently with some precursors than others. Given increased knowledge of the narratives and development of a person’s archetypes of belief, one can better understand the feelings that determine their choices, but it is really the bonding that defines consciousness. There are grand narratives that promote the chaos of individual freedom and then there are other grand narratives that promote adherence to the order of group authority thereby reducing the chaos of individual freedom. There are grand narratives about flawed heroes overcoming adversity as well as grand narratives about death and rebirth, adventures that experience chaos, envy, and revenge. Everlasting life and eternal justice are also very common narratives that repeatedly show up in religion and other supernaturalist narratives. Horgan does not always ask about the grand narratives that affect these nine life stories. Of course, Horgan does believe that there is free will but often seems discouraged given a very determinate science’s rejection of free will and has disparaged the limitations of science for a number of years as a result. Horgan is a science writer who writes and teaches writing about science and yet feels that some sciences have reached a limit and are therefore failing to make progress. The particle science of physics has seemingly made very little progress over the last 30 years or there has not been any progress on the unification of charge and gravity forces either. In addition, there are endless arguments about the nature of consciousness and free will and whether science has any role at all in consciousness. Horgan asks each of these people how they feel about consciousness and each of his nine stories address many of the key feelings of consciousness, but do not directly mention the many underlying narratives that anchor each of their own consciousness. The mind-body problem is a famous one that dates back to Descartes and Aristotle, among many others, but even the ancients did not address the underlying narratives that anchor consciousness. Horgan does not address existence directly. Why do we exist? Why do we exist right here right now and not some other time? Why is it us and not someone else who exists right here right now? These are my questions, not Horgan’s questions, but those questions lay the groundwork for consciousness. Of course, without consciousness, there would be no one to ask about existence since there would be no one to question existence at all. Other conscious animals and indeed most people simply accept their fates as predetermined without any questions about consciousness, right? Horgan has written a great deal about free will and all of his interviews invariably address free will as well. “Is free will an illusion?”, Horgan repeatedly asks, “or do we have the ability to freely choose among many possible outcomes?” If we can freely choose an outcome, then it follows that that outcome was not predictable with certainty from its precursors, which means that there are precursors of an outcome that are not possible to know. In fact, in our quantum causal universe, even though every outcome is a result of a set of precursors, for some outcomes there are precursors that are simply not knowable with certainty even though they do exist. The tools of science provide many useful measurements of matter, action, and phase. These measurements allow the stories of science to predict outcomes from precursors with sometimes great precision and certainty. Science therefore predicts the relativistic gravity orbit of the earth around the sun as well as the quantum orbit of an electron around a proton. Science can also predict how well two people might bond or conflict given sufficient knowledge of each personality and beliefs, but only ever with some uncertainty. Consciousness exchange is how people bond or conflict, but science cannot predict with certainty the outcomes of free choices that people make as a result of their feelings. 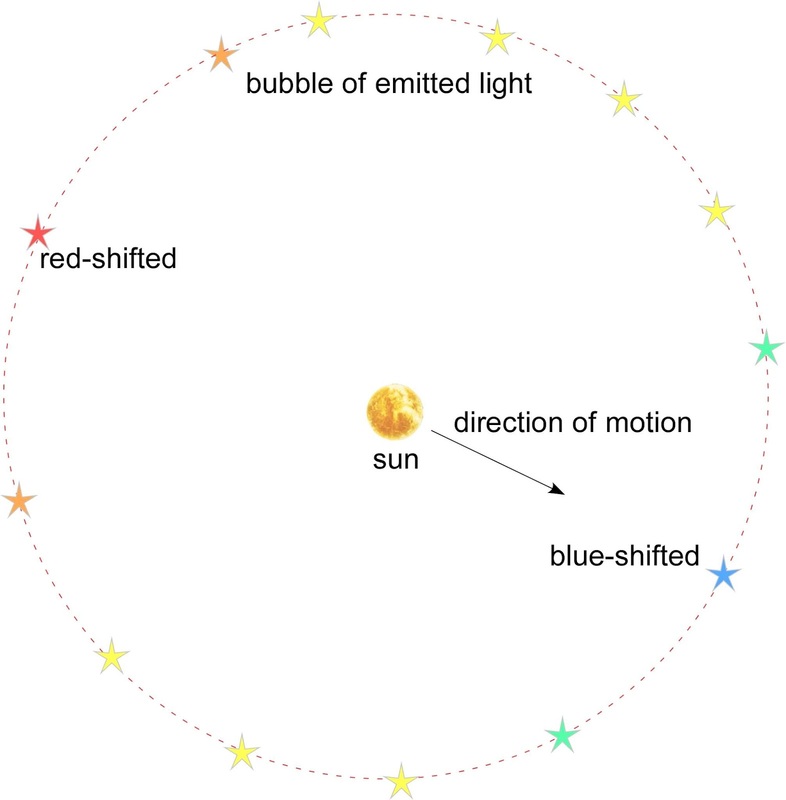 The orbit of the earth around the sun is a result of knowable gravity precursors and there are determinate paths for the earth and sun, but the matter and action of those paths are still both limited by quantum uncertainty. The orbit of an electron around a proton is a series of outcomes that have probabilistic and not certain precursors and so the mass and action of the electron are also limited by quantum uncertainty. Unlike relativistic gravity, there are no absolutely certain quantum paths in space and time and so time and space do not emerge from simple quantum action. Science can measure emotions like compassion and anxiety with facial expression, behavior, and neurochemicals, and EEG and science therefore measures agreeable and conscientious people that tend to bond well with others. The neurochemical oxytocin is highly correlated with human bonding, but bonding predictions are never completely certain and science often finds that people can make choices that do not seem to make any sense at all. Despite the uncertainty of behavior and therefore of choice, classical determinists argue that all choices still come from knowable and very certain precursors even if a person does not immediately know those precursors. This is simply a restatement of classical determinist cause and effect and is simply a belief. In fact, quantum free will argues instead that although many precursors of outcomes are knowable, there are some precursors that are not knowable with certainty even though they do exist. This is simply a restatement of the quantum uncertainty principle, which means that we do choose some outcomes for reasons that we cannot ever fully know or understand and we call these precursors free choices. A classical and causal reality presumes that we can know all precursors for outcomes even though we might not immediately know those precursors. However since we actually live in a world with quantum uncertainty, this means that there are precursors for some outcomes that we cannot know even though those precursors,such as free will and choice, do exist. For example, we cannot ever know the exact precursor of either free choice or the path of a single photon even though we can know how we feel about a choice and we can measure the photon energy and action within some limiting uncertainty of phase. Consciousness is a recursion or phase that bonds people together by exchange of consciousness. We see how other people act and then we act like we see other people act and then tell a story about that bond or conflict. Language is a similar recursion of matter as nouns, action as verbs, and phase as modifiers and, as a result, we learn to bond with people by consciousness exchange just like we learn language by exchanging stories. Our neural consciousness is made of recursions of precursors and outcomes that affect ultimate outcomes, and the recursion and bonding of consciousness to itself is what we call self. A set of precursors stimulate a set of corresponding emotions that result in a singular feeling and it is by that singular feeling that we make a choice to bond or conflict with other people. We cannot know all of the precursors for an outcome and that includes the precursor that we call free choice. Determinists argue that even though it is not really practically realizable to know all of the precursors of a choice, all of those precursors are nevertheless classically knowable and therefore determinate. However, the fact that we are also beings with both quantum phase and amplitude limits our knowledge of quantum precursors by the uncertainty principle. This means that we do have free will after all since free choice is not ever entirely certain or predictable without all completely knowable precursors. Currently there is no well-accepted model of the mind and yet for describing consciousness, it is important to have some kind of even rough model of consciousness and therefore free will. That model should be consistent with the known measurements of action potentials of neural synapses, the connectome as how neurons connect, the model should include emotions along with associated neurochemicals, along with the primitive brain, the cerebral brain, feeling, and the EEG resonances of neural action. A mind model must also show how childhood development imprints the unconscious archetypes of morality, meaning, and purpose and the roles of sleep and dreams for making long term memories and refreshing the mind each day during sleep. Finally, the mind model should also be consistent with the bonding of people with others into the group hierarchies of cooperative civilization. The mind model should differentiate the relative roles between individual freedom versus adherence to the authorities of group hierarchies. A complete model of consciousness must include childhood development of unconscious archetypes by the stories we learn and tell, some kind of a set of emotions from those archetypes like pleasure and anxiety that generate a singular feeling from sensory precursors, and therefore the precursor of free choice of an outcome of meaning a purpose for existence by means of that feeling. Action potentials at neural synapses are what stimulate or inhibit choice and so some kind of a model of the mind helps better define the bond of consciousness exchange. Consciousness exchange is how people bond or conflict just as the periodic exchange of neural action potentials bonds two synapses into a bilateral aware matter atom and these bilateral synapse bonds make up the fundamental EEG delta mode resonance of the mind. Delta resonances are the neural atoms of aware matter that bond into the aware matter packets of the higher resonances of each moment of thought. Moments of thought show higher frequency EEG alpha, beta, gamma, and theta resonances with characteristic mode widths that also show the decoherence or dephasing times of thought. Every day, sensations accumulate into moments of experience as delta modes bond into higher frequency neural layers of aware matter. These neural layers are the spectral outcomes of our bilateral neural aware matter packets. With this model, the mind only has capacity for about 40,000 neural packets or moments of thought for each day’s worth experience. During sleep our brains then processes the important information from those neural packets of each day’s experience into long term memory and then resets and cleanses the cerebral neuron aware matter for the next day’s neural packets of thought. Although this is only a rather rough model for consciousness, it is useful to have some kind of a model of how the mind works that is consistent with measurements. These nine stories reveal not only specific beliefs in free will, consciousness, morality, and self but also tell many additional embedded stories about these very different people's lives. We learn a set of unconscious archetypes as we grow up by learning and telling stories and continually update and refine our archetypes as we live our lives. These unconscious archetypes are the very important axioms in which we must simply believe as a basis for consciousness. Mainstream science has not been able to define consciousness very well given the lonely empty void of continuous space and time in which science believes. Science believes that spacetime is an empty vessel for the conjugates of matter, action, and phase, and yet those beliefs in space and time are not completely consistent with the universe as a quantum causal set of discrete precursors and outcomes. Science's further determinate and classical belief is that we can in principle know all precursors for all outcomes even though we might not immediately know those precursors. This determinate universe of science is one that follows from relativistic gravity, for example, but our quantum causal set universe is instead inherently uncertain and therefore not completely determinate after all. In a quantum causal set, there are precursors to outcomes that we simply cannot ever know even though they did exist. The quantum universe is still one that adheres to the determinate space and time of relativistic gravity, but now a seemingly determinate and continuous space and time both emerge from discrete quantum matter, action, and phase of discrete precursors and outcomes. The uncertainty of quantum phase has no meaning in a determinist gravity relativity and yet quantum phase is an integral part of the conjugates of matter and action. Our macroscopic reality is therefore one where quantum phase and uncertainty do not affect spacetime gravity paths. The light that fills our world is a manifestation of quantum phase and the interference, coherence, and exchange of light leads to many quantum properties, in particular bonding and uncertainty. Light exchange, as it turns out, is the basic glue that bonds charge as well as gravity and so light exchange is a unifying theme for the quantum causal set universe. The exchange of neural action potentials bonds people to each other as well as into group hierarchies. An exchange of feelings and consciousness is a neural resonance that bonds people just like light exchange bonds matter. An EEG spectrum, certain neurochemicals, and changes in behavior are all objective measures of an objective bonding of feeling along with the subjective feelings of each person. Thus, a fundamental definition of consciousness is the neural resonances that bond or conflict people with each other. Now each person chooses outcomes and the question is whether any choice was a knowable determinate choice or an unknowable free choice. Each of the stories related many different life choices and so one question is whether those choices were determinate or free? Each story formed a bond by exchange of consciousness and so were these discourses and bonds the result of determinate or free choices? The EEG spectra of two people in discourse measures their states of consciousness but EEG spectra are not always easy to understand. An EEG spectrum shows the various neural resonant outcomes that occur during consciousness, but science cannot yet completely interpret neural resonances as precursors of thought or feeling. There were undoubtedly changes in neurochemicals and other brain activity during these discourses and those changes likely also reflect the feelings between the two. Science also cannot yet completely interpret neurochemicals as feeling, but science has correlated many neurochemicals and other brain changes with various emotions. Finally, there were very likely tells in the behaviors of the two people as they discoursed and bonded with each other. There are therefore many objective measurements of the consciousness exchange that bonds people together, and yet each person would likely still argue about the meaning of consciousness and self. To what extent were each person’s choices determinate or free? What measure of consciousness differentiates between the fate of determinate choice and the uncertainty of quantum choice? Most choices in life are really determined by fairly knowable precursors and not by the uncertainty among many equivalent outcomes. For example, circumstance and not choice determines when you need to eat since hunger is a knowable precursor of the unconscious primitive mind, but what you decide to eat can be a free choice among many equivalent options with the unknowable precursors of the conscious cerebral mind. Each of these stories described various precursors that led to many life changing outcomes and each life change was then a precursor to a free choice among many possible outcomes. Some of these people stated their choices were not free choices but were rather determined by knowable precursors of development. However, it was not always clear that there always were knowable precursors and unknowable precursors are what define free choice and free will. It is clear that there are many unknown precursors to the outcomes chosen by these people and many of them acted as if they made a free choice even when they actually believed all their choices were determinate. In our quantum universe, the superposition of equivalent outcomes means that all of the precursors of any choice are not always completely knowable even though a precursor does exist as a cause for every outcome. The points of these nine stories about subjective feelings and beliefs reveal the most about the tenth narrative, the author. Horgan shares consciousness and bonds with each of nine people and in so doing, reveals much more about the nature of his own consciousness. In a classical causal universe, every outcome has a knowable set of precursors, which is simply a restatement of classical cause and effect. Science can and does measure consciousness with any number of objective tools. The action potentials of neural synapses, the connectome, emotions, neurochemicals, the primitive brain, the cerebral brain, feeling, and the EEG resonances of neural action all objectively measure the outcome of consciousness. Since every outcome of consciousness has a set of precursors, it is natural to presume that it is possible to know all of the precursors of choice, morality, and self. Since science can objectively measure and know every outcome in a causal universe, determinists argue that science can likewise objectively know every precursor as well. However, in a quantum causal universe, even though every outcome has precursors, there are quantum precursors that we simply cannot ever know for certain. These nine stories all relate choices of outcomes from among a set of many possible outcomes and then attempt to describe the precursors for those choices. Yet many times, the precursors were simply statements like, “I don’t know why I chose what I chose.” When asked if a choice was an example of free choice and free will, there were determinate people who believe that that they can in principle know all precursors even when they might not immediately know a particular precursor and there were free will people. A determinist believes that since each outcome has knowable causal precursors, it is then possible to know all precursors. Determinists argue that free choice is just an illusion born out of the chaos of classical noise, not the order of quantum phase noise. However, free will and free choice are precursors of a quantum causal set universe and there are quantum precursors that we cannot ever know even though they do exist. Of course, a belief in unknowable precursors is equivalent to a belief in the outcomes of free will, morality, and self. The people that believe in free will simply accept the fact that there are unknowable precursors and the outcomes of morality and self are likewise beliefs in some unknowable precursors. However, free will is then consistent with not only the chaos of classical noise, but also the order of quantum phase noise. Determinists believe that the mind is a classical machine and like any classical machine, mind outcomes are then all due to completely knowable precursors, albeit with some chaos. This is a determinate belief in free will as an illusion. However, the mind is actually a quantum machine and like any quantum machine, it is simply not possible to know with certainty all of the precursors of the outcomes of a quantum machine due to quantum phase. This is a belief in quantum free will. Each of the nine stories show the objective existence of consciousness exchange since readers can all agree that all ten people were conscious and that bonds formed. Likewise, each of the nine stories showed many outcomes of choice, morality, and self without actually showing very many of their precursors. The determinist assumes that people can in principle know all of the precursors to choice, morality, and self, only limited by complexity and chaos. Quantum uncertainty means that people actually cannot know all of the precursors to the outcomes of quantum choice, morality, and self. In other words, although we can know many of the precursors that make us who we are, there are some precursors in which we all must simply believe for consciousness in a quantum causal universe. There is a great deal of information embedded in the many layers of Horgan’s stream-of-consciousness style of writing...about consciousness. A recurring theme in each of the nine plus one stories reveals the precursors of morality, free will, and self for the consciousness exchanges of each of ten people; nine interviewees and the author. The ten stories represent a spectrum of consciousness showing the range of five personality complements or factors: nonconformer versus conformer, conscientious versus feckless, agreeable versus obnoxious, extravert versus introvert, and empathic versus callous. Likewise each spectrum of consciousness also shows the five emotion complements: compassionate versus selfish, joyful versus miserable, serene versus angry, pleasure versus anxiety, and pride versus shame. These people are all well-published, intelligent, and creative and so do not represent either conformers or thoughtless and feckless personalities very well, but they do represent all the other personality factors and emotions fairly well. We actually live in a quantum causal set universe where it is simply not possible to know all of the precursors to the outcomes of choice, morality, and self. Even though we know these precursors do exist in a quantum causal set, we simply cannot know all of the precursors for the choices that we make, even though we can often know many of the precursors of our choices. Since we cannot know all of the precursors for emotions, for example, those outcomes are free choice and free will. Determinists believe that we can know all of the precursors of choice, morality, and self but quantum uncertainty means that it is simply not possible to know with certainty all of the precursors of choice. Even given the chaos and complexity of classical noise, we simply do not live in a determinate classical causal universe. However, most of the macroscopic universe does seem determinate and simply subject to the complexity and complexity of chaos. Thus, even very smart people often do not accept the fact of free will and often argue vociferously for the illusion of free will. These stories all describe emotion precursors to a singular feeling and how those singular feelings of consciousness are the precursors to choice, morality, and self. In particular, each story involves a free choice to do the story, but it is not possible to know all of the precursors to any emotion even though we can know those precursors do exist. For example, we feel the need to accept a limited group authority (i.e. a government or a job) despite losing some individual freedom and often enhance our lives as a result of accepting that group authority and hierarchy. This outcome is a balance driven by a feeling from a set of emotions and, once again, it is not possible to know all of the precursors to emotion precursors. We simply feel that it is right to give up some individual freedom to a group authority, but then argue endlessly about how much freedom we feel is right to give up. Each story shows that the precursors of emotions from the unconscious archetypes that we cannot ever really know. The stories further show that a set of emotions are the precursors to a singular feeling of consciousness and it is by such singular feelings of consciousness that we make choices, have morals, and know our self. In particular, the free choice to do the story. Only one of the ten does not accept group authority very well but all seem to live otherwise pleasant lives. Some have experienced significant physical and or mental problems and learned how to be successful despite their problems. It is also not possible to know all of the precursors to the outcomes of either wealth or poverty even though it is possible to know many of those precursors. Free market capitalism is one of the precursors to increasing productivity and wealth and increasing wealth is one of precursors for reducing poverty as well. Free market capitalism increases productivity with the incentives of individual freedom and accumulating personal wealth, among other outcomes. Capitalism in the U.S. distributes 49% wealth to just 15% of population and only 6% wealth to 15% of population. The remaining 45% of wealth is then more than sufficient for the middle 65% of the population to live well in the U.S. and so most people accept the tradeoffs of capitalism despite the inequality. People nevertheless feel it is still important for the government to redistribute some fraction of wealth to the 15% or so of the population that live below the poverty line with only 6% of U.S. wealth and also to provide equal opportunity to everyone as well. However, the outcome of wealth redistribution does mean some loss of individual freedom precursors. A collective feeling or morality is a precursor to wealth redistribution and emotions like compassion and pride are precursors to the collective feeling that chooses wealth redistribution, but selfishness limits that choice and it is still not possible to know for certain all of the precursors for those emotions. Free speech is a precursor whose outcome is not always possible to predict since free speech depends on how other people feel about what is said. Feeling is subject to quantum uncertainty because of the nature of neural aware matter spectra. An EEG spectrum is a superposition of many possible neural precursors and outcomes and it is only possible to know each precursor within some limited quantum uncertainty of matter, action, and phase. The uncertainty of an EEG spectrum is defined by the line widths of its resonances, which are the dephasing or decoherence times of moments of thought. It is not always possible to know all of the reasons or precursors for why a person chooses to tell the stories that they choose to tell and therefore to bond with the people that they do. Correspondingly, it is not always possible to measure all the sources of the decoherence times of thought. The stories that do resonate result in EEG resonances as moments of thought and the stories are an important part of free speech. Stories that resonate bond people together into group hierarchies with acceptance of group authority. Likewise, EEG resonances are the result of the bonding of aware matter into moments of thought. The more people are free to choose their own groups, the more individual freedom they have and the more adaptable the resultant civilization is to outside changes. Acceptance of group authority decreases individual freedom and the order of the group resists change and makes civilization less adaptable to outside changes. Each moment of our life is a superposition of precursors and outcomes that determine feeling and how we choose a single outcome. The emotion precursors that determine feeling outcomes therefore depend on both precursors and outcomes and include the outcomes that we choose as well as outcomes that we do not choose. Horgan wrap-ups his book still feeling incomplete since none of his stories result in objective and testable definitions of consciousness, free will, morality, or self. But all of the nine stories do result in human bonds and those bonds reveal many subjective feelings about consciousness, free will, morality, and self. As a result of the subjective feelings, all of the nine stories reveal the human bonds that result from these elaborate exchanges of consciousness, free will, morality, and self. The discussion comments are then further stories that also bond Horgan and others. Therefore, the one objective and measurable definition of consciousness is then as the neural resonances that bond people together and that addresses and resolves Horgan’s mind-body problems. Consciousness exchange is what bonds people together just like gravity bonds people and the earth together and charge bonds electrons and protons together as atoms and molecules and people and consciousness. The nine stories represent a spectrum of the neural resonances that bond people together and that bonding outcome is what consciousness is. It is possible to understand consciousness as a neural exchange that bonds people and self and to understand that these nine stories and all stories are examples of such human bonds or conflicts. The theory of gravity relativity predicts outcomes from many macroscopic precursors, the theory of quantum action predicts outcomes from many microscopic precursors, but these two theories are fundamentally incompatible in mainstream science due to quantum phase. A successful theory of consciousness will then predict the outcomes of human bonding from the precursors of people and self. Chopra comments that these nine stories are not useful precursors for predicting consciousness since Horgan values all of the stories equally and Chopra does not. However, all any theory of consciousness needs to do is just be able to predict outcomes from neural precursors. Since consciousness bonds humans with neural resonant precursors, the precursors of consciousness are very good predictors of the outcomes of bonding and self. These nine stories are then quantitative and objective measures of various consciousness bonds between people since most people can agree with and repeat the results with their own interviews of the same nine people. Relativistic gravity bonds are the outcomes of the macroscopic precursors of quantum matter action and phase and charge bonds are the outcomes of the microscopic precursors of quantum matter action and phase. So the bond of consciousness is simply the outcome of exchange of neural aware matter resonance as a neural manifestation of the quantum matter-action bond. Consciousness exchange bonds people together with phase entanglement and coherence just like gravity bonds neutral objects with biphoton exchange and charge binds atoms and molecules with single photon exchanges. Each quantum bond has complementary light emission with phase entanglement and coherence and those emitted photons make up what we call gravity as well as consciousness. 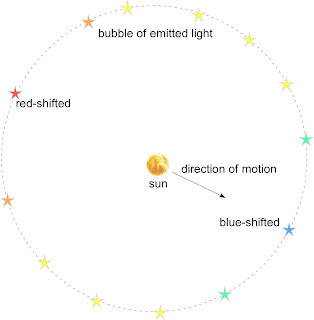 The entangled phase correlates of light emission make up the photon bubbles that surround each of us and those photon bubbles define the nature of gravity as well as that of consciousness. There are many quantum matter actions that are all together what bond people to each other with exchanges of consciousness. The discourse of language and stories are some of the many quantum matter actions of consciousness that entangle and correlate our respective photon bubbles and so quantum matter actions are then an objective definition of consciousness. Language reflects matter as nouns, action as verbs, and phase as modifiers of quantum matter action. The couplings of neural action potentials result in certain neural phase resonances that are moments of thought and feeling. Those neural resonances are what bond people into self, pairs, and groups and we call those bonds sharing consciousness. Conflict is a result of a lack of neural resonance between people and it is by the unconscious archetypes of emotion and feeling that people either bond or conflict. When consciousness bonds with itself that therefore defines self in the same way that electron self energy ends up defining itself as well. Relativistic gravity, though, does not show any self energy in space and time, but there is a quantum matter action self energy. However, an electron without a proton is like a person without other people and ultimately, quantum bonds are what define aether, atoms, molecules, people, earth, sun, stars, galaxies, superclusters, universe, and, most of all, consciousness. Our unconscious archetypes give us feeling through emotions and feeling gives us morality as well as many other mimes and so unconscious archetypes are necessary precursors for the neural aware matter resonances of consciousness outcomes. How we feel is an outcome of the unconscious archetype precursors of consciousness and how we feel is free will. Since it is not possible to know all of the precursors for feeling, free will is the outcome of choices that are not possible to predict with absolute certainty. In other words, even though each free will outcome has precursors, it is not always possible to know all of the precursors of a free will outcome in a quantum causal set universe. Chopra commented that the nine stories represented a spectrum of consciousness, morality, free will, and self but without any judgments, the stories do not help his understanding of consciousness. Chopra would have included judgments about the each story’s value as truth in order to better guide readers into his understanding of consciousness. Chopra claims to understand consciousness simply by answering the key question, “How did something come out of nothing?” Chopra’s answer is that the universe was created by the precreated state, which is making the something of the universe out of nothing of precreation. But of course making something out of nothing will answer any question and is also a classic self-contradiction and paradox since now nothing is something after all. Therefore making something out of nothing is circular and not very useful for objectively answering any question, including consciousness. The fact is that there are certain questions that simply have no answers other than belief. What is the precursor to the universe? What is the outcome of the universe? Why is the universe the way that it is? These questions all have any number of answers and therefore no useful answers for predicting outcomes from precursors within the universe. Why are we here? Why are we right here right now? Why is it us and not someone else who is right here right now? People can and do ask many such unanswerable questions and then very smart people argue endlessly about the many different answers since any answer will do. Useful questions are about how the universe works, not why it is the way it is. What is matter? What is action? What is quantum phase? These three axioms do allow prediction of outcomes from precursors, but we simply must believe in each of matter, action, and phase as precursors of the way the universe is before we can predict outcomes. The fundamental definition of the precursors of consciousness is in the outcome of neural exchange that bonds people together. The one very predictable outcome of the precursor of consciousness is the outcomes of bonding or conflict among people. Stories are consequently an important representation of consciousness and it is the something of stories that bonds people together, not the making of nothing into the something of precreation. Chopra says consciousness is the bedrock of reality as experienced by human beings. This is simply saying that consciousness is consciousness, which is an identity and is certainly true, but hardly useful for predicting outcomes from precursors. Chopra further says that consciousness can understand consciousness, which is self, but not actually completely true. Although there are precursors for all outcomes like consciousness, it is not possible to know all of the precursors for any outcome much less that of consciousness itself. So, even though it is possible to know many of the precursors, it is actually not possible to ever completely know all of the precursors with certainty for the outcome of consciousness. Therefore it is not possible to completely understand the outcome of consciousness with the precursor of consciousness and therefore not possible to completely understand self.